In the shadows of the new Mercedes-Benz Stadium lies a community with a rich history. Atlanta’s Westside was once a thriving part of the city. Over the last few decades, the Westside has experienced decline, but Scouting is one of many groups leading an effort to bring life back to the community. The youth who have Scouting in their lives thrive, and when they excel their communities do too. The neigborhoods of English Avenue, Vine City, Ashview Heights, Castleberry Hill, Washington Park and Bankhead, have all been impacted. Over 60% of children under the age of 18 are living in poverty, and 1/3 of the homes are abandoned and it is the most violent neighbors in Atlanta and one of the most violent neighborhoods in America. Fortunately, many of the youth in this area have discovered what Scouting can do to impact their lives. Youth like DeCoda, a Scout in Troop 1300, explains the amazing influence his Scout leaders and the program have had on his life so far. Program Specialist Mark Walker oversees Scouts setting up a tent. 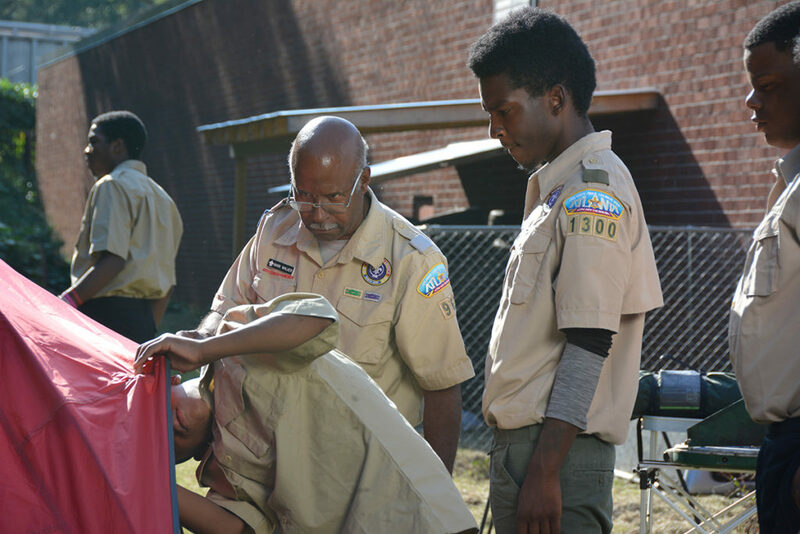 The Westside Scouting Initiative will raise funds to start, and sustain, six new Program Specialist led units, like DeCoda’s Troop, on Atlanta’s Westside. These Scouting units provide supplemental education, leadership programs, adult mentors and hands-on learning in an outdoor classroom for the families of the Westside. Scoutreach is the Atlanta Area Council’s commitment to remove any barriers that might keep a young person from joining Scouting regardless of their circumstances. Scoutreach can provide camp scholarships, uniforms, handbooks, transportation and even leadership of a Scout unit. Scoutreach is a solution with impact. 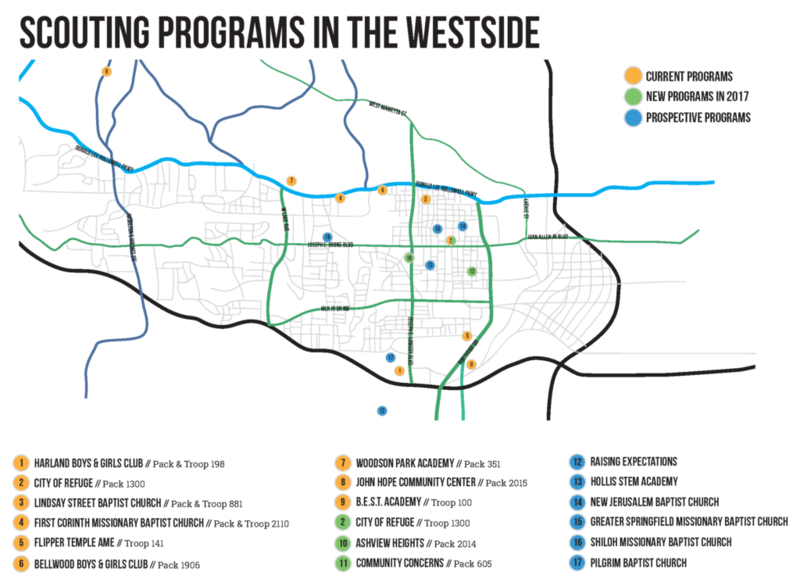 Click here to learn more about the Atlanta Area Council’s Westside Initiative or contact Faye Hammonds.